I live out of the area and one day decided to google a realtor in the Spark, NV area. I found multiple relators and decided to email a few. Lori was the ONLY one that responded right away. I let her know I was going to be in that area over the weekend, didn’t have a realtor and wanted to know if she would be willing to show me a few homes I found on Zillow.com. Without knowing who I am behind that email, she say yes! She never asked me if I was approved already or how I plan to buy this house. Lori picked me up from my hotel and took me out for hours looking at homes. She had a printout of every home I wanted to see. What a day! It was so tiring going through homes.. I found a few I liked. After she dropped me off at the hotel, I found a few additional ones that I wanted to see the next day before I headed home. Lori was available again! She also found me a home that she wanted to show me… Well guess what??? That was my home! I knew it from the time I pulled up! I couldn’t wait to make an offer. Lori was VERY helpful during the negotiation process. She had a lot of knowledge on what to ask/what to counter. At one point I got nervous because we let my counter ran to its deadline, but they accepted! Lori is a wonderful person and has a lot of knowledge in the Reno/Sparks area. I’m hoping we can stay friends after this transaction. She has a big heart and she is all for her client. Thank you Lori, my favorite realtor for all your support! You were a pleasure to work with. Thanks for helping me relax during a very stressful transaction. Very friendly and knowledgeable. She helped us buy the house 4 years ago and there was no question who we were going to get to help us sell it. She has been doing this for a long time and knows the business really well. She always kept us informed of what was going on. I was referred to Lori from a friend that I grew up with in Sparks Nevada. I met with Lori and felt from the minute I met her she was perfect for sale of my dad's home after his death. Working with Lori was not ever an inconvenience. She was always willing to take the extra step for us. When I called her she called me right back, when I asked her for something it was in my email, when I needed an opinion she gave me an honest one, when I needed extra documentation it was in my hand, and if I had a question she usually had the answer or would find it. Lori is a true professional. She set up and held an awesome open house and sold the house within two days. Laurie was a complete and total pleasure to have as a realtor and I have not one complaint... which is hard to find in services these days. My siblings and I were going to sell our brother’s home in 2007. I felt comfortable with Lori via phone and the first impression in person was good. She started the process and work was done with the title company. The market was going downhill at this time and Nevada was hit hard. We decided to hold onto the home. I always kept Lori in mind over the years. We made contact in 2015 and started the process again. She was spot on in her help and had no problem going the extra mile. We are grateful for her efficiency and a job well done. Thank-you again Lori. Lori was referred to us as a buy's agent by a friend who purchased a house with her help. Lori worked patiently for one and half year with us to find the right house in the end. She is knowledgeable about the housing market in Reno/Sparks area. I liked asking her opinions about the pros and cons of each house we looked at, and very much valued her honest inputs. She let us take time and does not push us for a deal. She put our interest first. It was a pleasure working with Lori, and I highly recommend her as a buy's agent (she might be a good seller's agent, too; but I haven't had experience with her on that regard). Lori was our realtor of choice when my Mom moved to Reno from Grants Pass OR. She is extremely helpful and professional. She always responds to any inquiries in a timely manner, her customer service is great!! Lori has been there for me since this transaction, answering any questions or concerns I have had on my home. I would highly recommend Lori to anyone looking for a realtor. We used Lori for 2 different transactions. To purchase a home in 2008 and then again to sell that home in 2016. In both cases Lori demonstrated her expertise and professionalism in handling out of the ordinary circumstances. When we purchased our home it was a foreclosure and not even on the market yet. She helped us locate the owners and eventually buy the home. More recently, when selling our home there were a few hiccups with our buyers and we had already packed up and left the state! Lori's professionalism in working with the buyers agent was instrumental in closing the deal. We got top dollar for our home and sold very quickly. Lori is great with technology and responds quickly to emails and texts. If she doesn't know something she will research it and figure it out promptly. I would highly recommend Lori as a realtor and she is a wonderful person to associate with as well. We asked Lori to help sell our home and find a new one at the same time in Sparks, NV. We also wanted to stay in the same school district for our daughter. She made the entire process as smooth as possible. Her experience and knowledge of the area definitely showed throughout the process. Lori was very professional and organized. If I had a question, Lori either had the answer or was quick to find out and get back to me. She was attentive to detail and we always felt that we were in good hands. We would definitely recommend Lori as a real estate agent. "Lori's expertise and advice about selling my home resulted in an offer on the very first day it was listed! Not just an offer, but a full listing price offer from a solid buyer! Needless to say, this is the easiest home sale I have ever experienced. Additionally, Lori is so easy to work with, always available, never pushy and goes out of her way to make the whole process easy for her client. She truly cares about (and worries about) her clients." "...very professional, helpful, caring, knows her job well, always there for us when we had any questions, very helpful." "My experience with Lori was excellent and was very smooth for our triple transaction...the process was seamless thanks to her expertise." "She took her time to explain every detail associated with purchasing a new home...She did everything we could possibly ask of her as a REALTOR® and I would highly recommend her to anyone looking to use an honest, hardworking REALTOR® who really knows this business." "With me not being in town anymore, you made it so easy for me." "Thank you for helping us purchase our wonderful home! We couldn't be happier!... you truly are a great REALTOR® but even more important you're a wonderful person to work with." 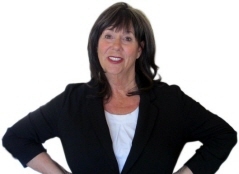 "Over the years Lori has been an excellent real estate agent that is upfront, honest, responsive, and always has done what was in my best interest in regards to real estate. Her vast real estate knowledge and professionalism definitely give her an advantage." "Lori always goes above and beyond what is expected and/or asked of her. Lori will be the first person I contact when I move back to the Reno area."